E.P. 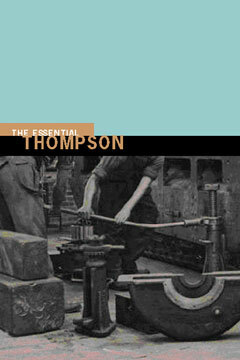 Thompson was one of the most visionary and influential historians of the last century, acclaimed as the innovator of “history from below”—the immersion in the many details of everyday life, particularly among the working class, as a vital means of understanding the past and the patterns of history itself. His classic work, The Making of the English Working Class, changed the ways in which not only historians but a whole new generation looked at the past. The Essential E.P. Thompson, the largest collection of Thompson’s historical work published in one volume, gives us the full range of his scholarly output, from William Morris: Romantic to Revolutionary and The Making of the English Working Class, to Albion’s Fatal Tree and Customs in Common. Both a superb introduction for those new to Thompson’s work, and an invaluable addition to any history lover’s collection, The Essential E.P. Thompson is a stirring testament to the range, complexity, and vision of “one of the most eloquent, powerful, and independent voices of our time” (The Observer, London).